Prime location West of Woodward, Ferndale living at its best. Relax on the front sitting porch, enter into an amazing open and bright floor plan. 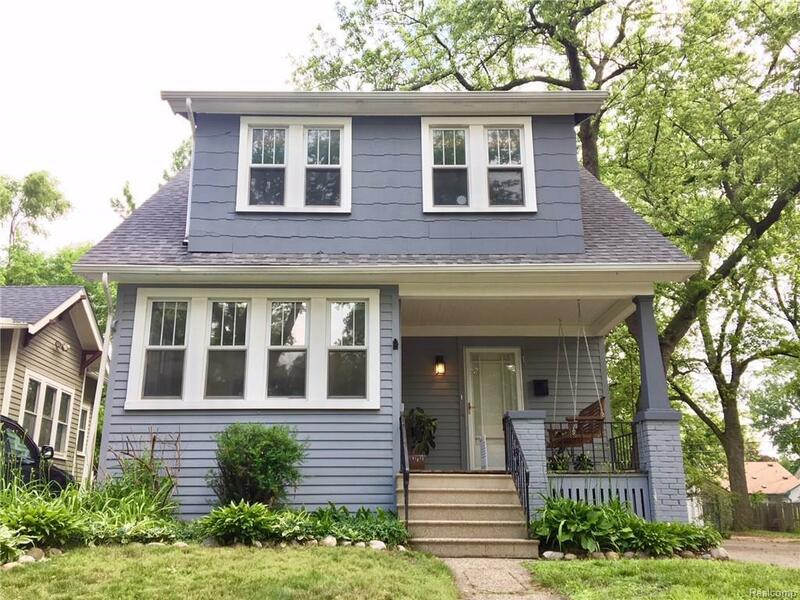 High ceilings, vintage oak floors, front sunroom, Large living room with fireplace and spacious formal dining room gracefully flow into the renovated kitchen with gas stove and dishwasher. Filled with charm and character throughout, this Arts and Crafts bungalow has had major improvements; windows, plumbing, electrical etc. Freshly painted exterior, cool central air for summer, spacious bedrooms, walking distance to festivals and shops. Make Home Here!